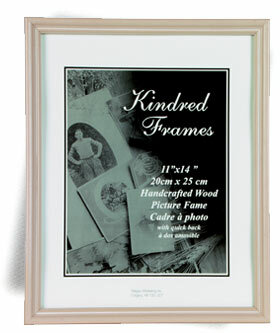 SOLID WOOD FRAMES "PERFECT FOR YOUR PHOTO MAT"
We are pleased to introduce our new line of picture frames. Kindred Frames are molded and specially coloured to match our photomats. Wood construction, painted on two sides, fitted stapled corners and glass included.